Live in the Amazon Rainforest and work to protect wildlife and indigenous plants by joining our Rainforest Conservation Project in Peru. 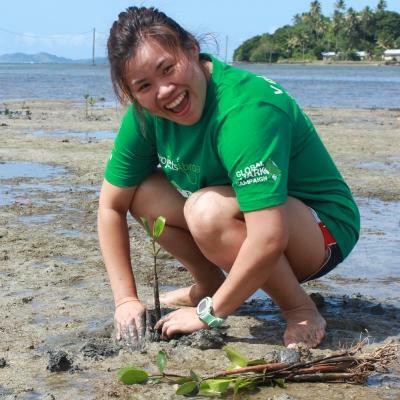 You’ll be on the frontlines of rainforest conservation, which could be valuable for your future career. Wake up to the sounds of the jungle, explore the rainforest by foot, on the river, or on the highest canopy walkway in South America. You’ll help rehabilitate wild animals and become part of our ongoing efforts to preserve this unique ecosystem for future generations. You’ll work closely with our team of experienced conservation experts at the award-winning Taricaya Ecological Reserve. The reserve has been rated the best rescue centre in Peru by local government. However, in order to reach our conservation goals and keep our sustainable initiatives running, we need your help. That’s why if you sign up in the next 6 weeks to volunteer in December 2018 or January 2019, you’ll get a 10% discount on your project fee. It’s the perfect opportunity to take the leap and start this once-in-a-lifetime adventure! 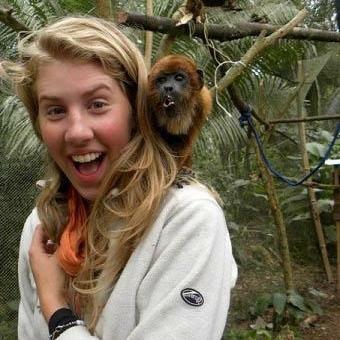 Is Conservation volunteer work in Peru right for me? This project is ideal for adventurers and thrill-seekers with a passion for nature and the outdoors. This is a once in a lifetime chance to live in the heart of the Amazon Rainforest! 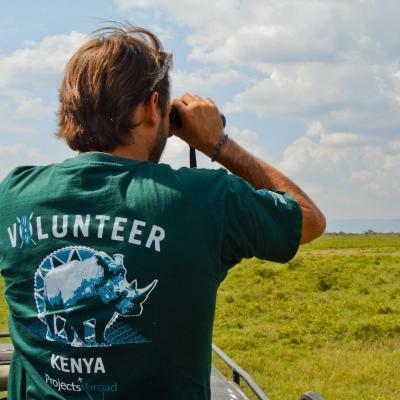 On top of making a difference, you will gain plenty of practical conservation experience. 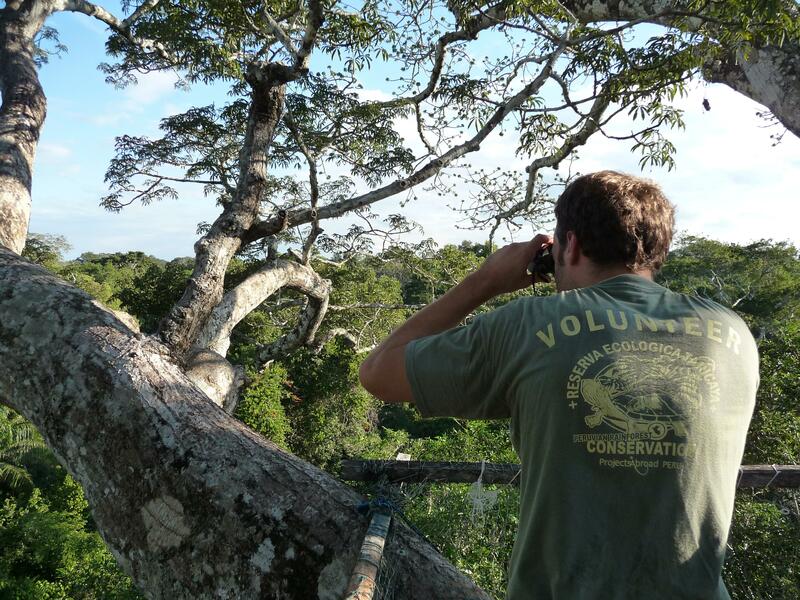 You’ll work closely with some of the top minds of biology and rainforest conservation. 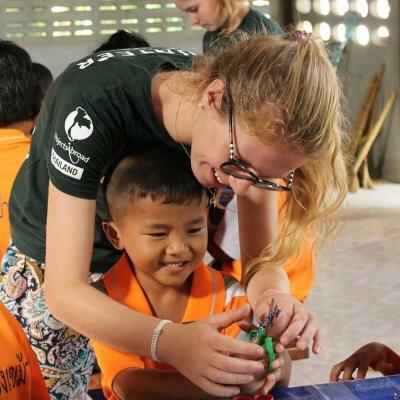 If you have an interest in conservation, biology, or environmental science, you’ll enjoy the hands-on fieldwork, and you’ll contribute to ongoing research projects. You’ll need to be comfortable with getting your hands dirty, and be willing to skip some home comforts! You don’t need previous experience to join. You’ll be supervised by experts, and our staff are always available to provide guidance and advice. The project runs all year round, so you can join whenever it suits your schedule. The minimum duration is one week, but we recommend staying longer to have an even greater impact. What will I do on this Rainforest Conservation Project in Peru? With the help of your work, we produce a technical report every year to demonstrate our environmental impact. The data for these reports comes directly from our volunteers’ daily observations. 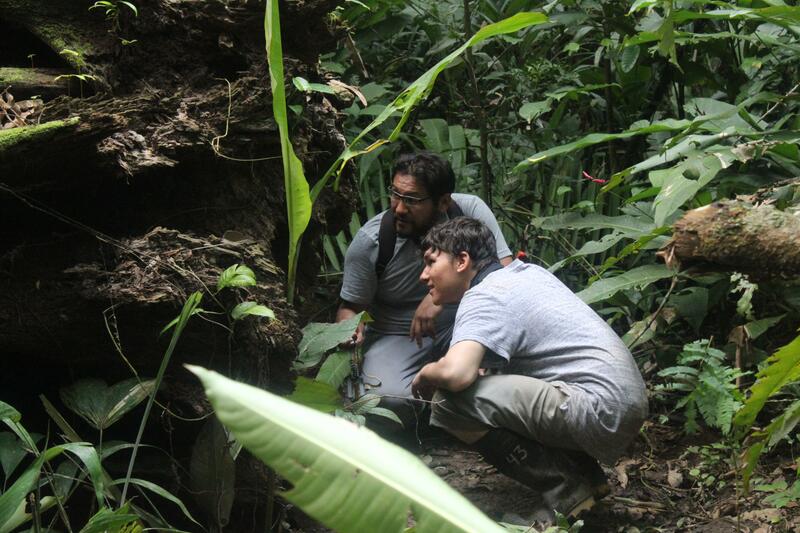 Thanks to this work, Taricaya is increasingly recognised internationally as a research centre. It has contributed a number of important research papers at international conferences, especially in the field of ornithology. At Taricaya, we run an animal release programme. This work involves our project partner, Animal Defenders International (ADI). ADI confiscates illegal pets or circus animals. We then rehabilitate them at the rescue centre, and release them into the wild if possible. These are usually endangered species like scarlet macaws, whose populations are steadily decreasing in the Amazon. You’ll help with feeding these animals and doing general maintenance. This includes tasks like cleaning enclosures or repairing fences. Although this may sound like menial work, it’s a chance to get up close to beautiful wildlife, while also helping prepare them for a life of freedom. For animals raised in captivity who can’t be released, you’ll be helping to give them the quality of life they deserve. You’ll also help with our turtle breeding programme and do things like patrolling riverbanks for turtle nests, collecting the eggs, and incubating them at the centre. This protects them from poachers. When the eggs hatch, watching hatchlings scurry across the sand making their way to water is a heart-warming moment! It also makes a huge impact on the populations of these species in the wild. You’ll also help with catching and breeding endangered butterflies. Our butterfly catching methods are completely safe and leave the butterflies unharmed. We can then house them in optimal conditions, help them breed, and study their behaviour. We have a pilot farm where we work on developing and perfecting sustainable farming techniques. We then teach local people about sustainable farming to reduce the negative impact of farming in the area. Your role is to tend the crops and help us raise awareness about sustainable farming. We also run a mahogany programme. We grow mahogany trees close together and study them. This shows local loggers that this is a cost-effective alternative to cutting down trees from the rainforest. We are also able to share the timber from these trees to use in production. 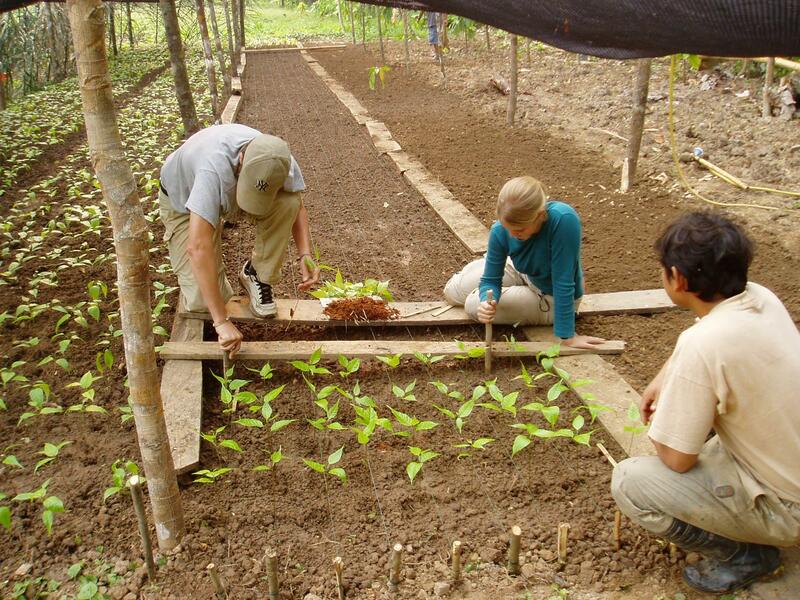 You will help with maintaining the plantation and taking measurements. We work to raise awareness about conservation on both a local and a global level. Through research and publications, Taricaya provides groundbreaking data that draws attention to the work we’re doing in the Amazon. You’ll be involved in collecting this data and contributing to large-scale research work. You can also help with raising awareness about conservation in local communities. For example, you could run a recycling competition in a local school. Or you could conduct a workshop on the small things people can do to combat climate change. Projects Abroad has funded, staffed, and run the Taricaya Ecological Reserve for over a decade. For this reason, we rely heavily of volunteer support to keep the centre running. Since we opened the reserve, we’ve worked with the local community and the government. This ensures that the data we collect contributes towards the future of the Amazon Rainforest. We’re proud to support such a growing force in the area of rainforest conservation. We’ve also partnered with Animal Defenders International, who provide valuable support for our work rehabilitating wild animals. Many of these animals have been confined at circuses in horrifying conditions for most of their lives. 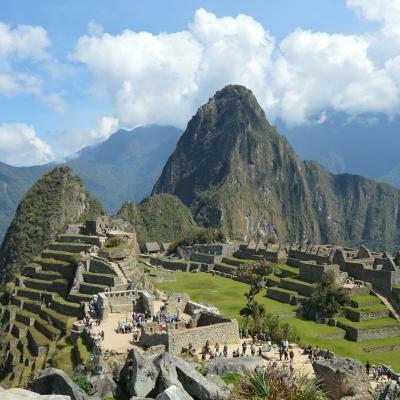 Where in Peru will I work? You’ll live and work at the central camp at Taricaya Ecological Reserve, which is located in the Amazon Rainforest. The camp is a one-hour boat ride from the nearest town, Puerto Maldonado, situated in southeast Peru near the border with Bolivia. Most of the work that you’ll do is based in and around the camp, and within the Taricaya Ecological Reserve. During your project, you’ll follow a timetable and normally work between four and six hours each day. You’ll start work at around 8am and then break at 11:30am as the day warms up. You’ll begin work again in the cooler afternoons from about 3:30pm to 5:30pm. Your project work runs from Monday to Friday with your weekends free. In the morning, you can do things like feeding the animals at the rescue centre, working in the pilot farm, or collecting data on spider monkeys. You’ll break for lunch to avoid the midday heat. During this time, you can relax, read a book, or chat to your fellow volunteers. After your break, you’ll do things like a bird census or working in the butterfly house. 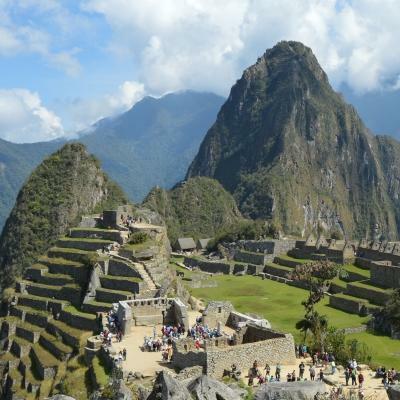 Keep in mind that some of the work is seasonal and you will work on various different tasks during your time in Peru. During your free time, you can make the most of your stunning surroundings. You can go on group hikes or play board games with the other volunteers. Over the weekend, you’ll have the option to go to Puerto Maldonado by boat. What are the aims and impact of this Rainforest Conservation Project? 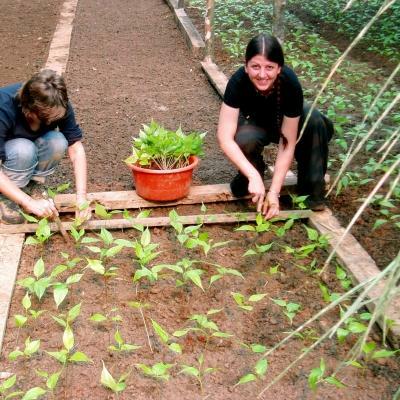 The main aim of this project is to conserve the diverse plants and animals of the Amazon Rainforest. Not enough is done to protect and preserve the unique wildlife and vegetation. Our project at Taricaya works to rehabilitate an area previously damaged by human activities, such as gold mining and farming. We conduct surveys throughout the area to track the rehabilitation of local wildlife and vegetation, and reintroduce species previously found in the area. We also help local people avoid causing damage to the environment. They help us with our conservation projects and we help them with their farming. You’ll become part of these efforts, and help us run a model farm. Through the farm, we pass on ideas and techniques for more sustainable farming to local farmers. Join our Rainforest Conservation Project today and help protect the wildlife of Peru. All of the activities we participated in took place within the jungle and contributed to the bigger picture of conserving this majestic environment that few people have ever experienced. 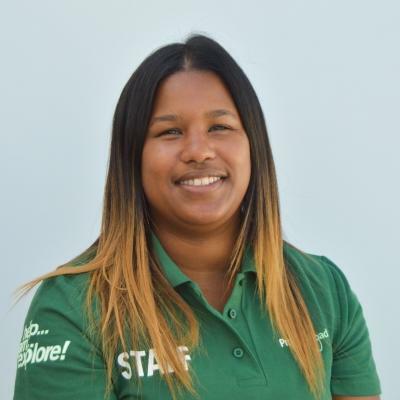 Geography has always fascinated me and the opportunity provided by Projects Abroad to live in the rainforest for five weeks and carry out my fieldwork has proved only to further fuel both my passion for the subject and my love of travelling. You'll share accommodation with other Projects Abroad volunteers during your stay the Taricaya Ecological Reserve. This is a great way to get to know your fellow volunteers, share experiences, and explore your surroundings in your free time together. Each bungalow sleeps four people, and has a private bathroom.